Farm body urges ‘patience and extreme caution’ in safety warning to road users and agri community. 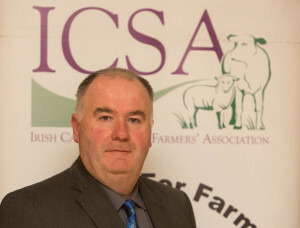 The ICSA has appealed to all road users to be ‘on their guard’ during the Bank holiday weekend as beyond as farm activities intensify. He said that coinciding with the sunny spell and the bank holiday, “patience, as well as extreme caution, must be exercised by everybody using the roads. “Slurry gas is also a silent killer and extremely dangerous. Slatted tank agitating points should not be left open for any longer than necessary. “Farmers also need to be very careful to have proper PTO shafts in place on slurry and silage equipment. It only takes a split second lapse in concentration for accidents to happen, sometimes with tragic and fatal consequences. “After one of the longest winters in living memory, many farmers are still trying to cope with the financial ramifications and stress associated with dealing with nine months of challenging conditions. It will take more than a few sunny days for farmers who experienced the perfect storm to recover. However, safety must be a priority at all times; it’s a busy time but let’s make it a safe and happy time for everyone,” he added.